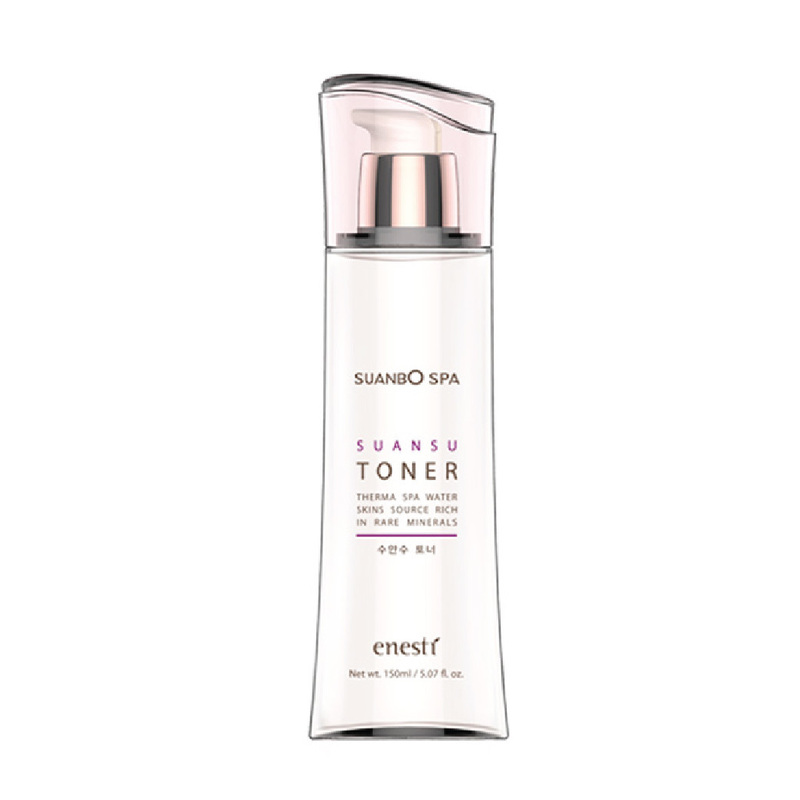 Enesti Suansu Spa Toner 150ml – HAIRDEPOT - Hair & Scalp Care Products, Prevent Hair Loss, Shampoo, Conditioner, Treatment, Styling, Appliances and more! This is a moisture supply line containing 30% subalkaline (pH 8.3) water from ‘‘SUANBO’’ Hot Springs from 250m bedrock with water temperature of 53℃. It is the first of its kind in Korea to use spring water rich in naturally moisturizing minerals, dipotassium glycyrrhizate, purslane extract, betaine, and allantoin create a moisturizing protective layer on the surface of dry skin, and optimally maintains the moisture holding level in skin.